CLEAN TITLES++LOW INTEREST PAYMENTS++BUY HERE PAY HERE++LAYAWAYS==WWW.LANDLPERFORMANCE.COM!!! This ATV only has 10 hrs on it and comes with extras that include DG X2 FULL EXHAUST and POWER COMMANDER III. GET IT BEFORE ITS GONE!!! LAYAWAYS!!! 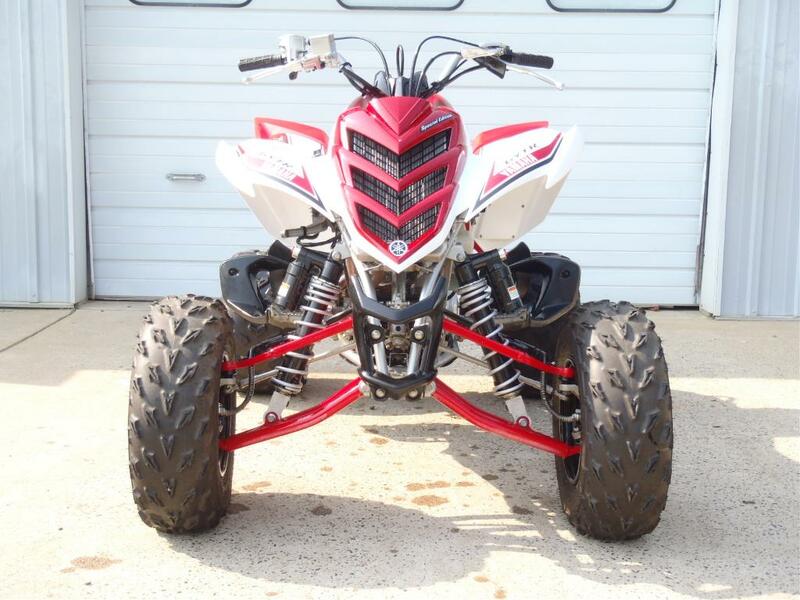 The number one selling sport ATV in Canada! 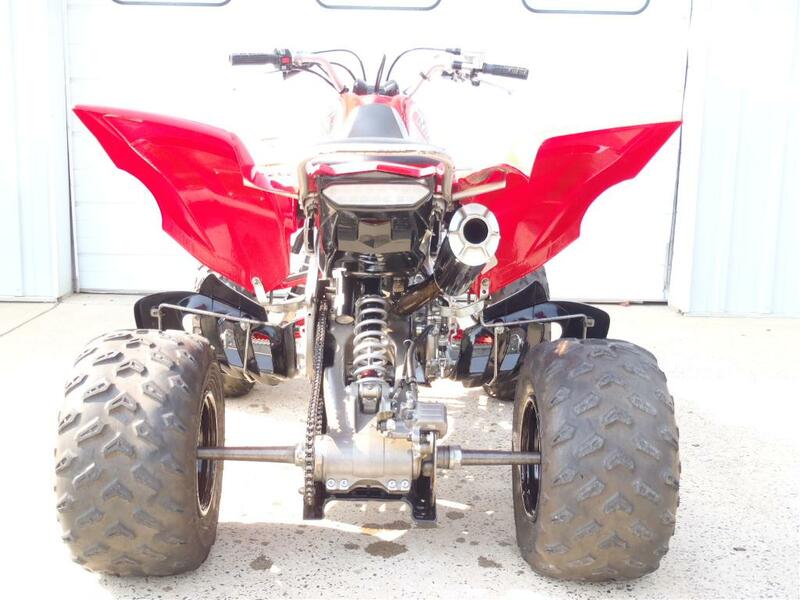 The Raptor 700R SE adds a few special touches to the already class leading Raptor. A custom White and Red colour scheme and super high performance piggy-back clicker shocks with high and low speed compression damping adjustment. 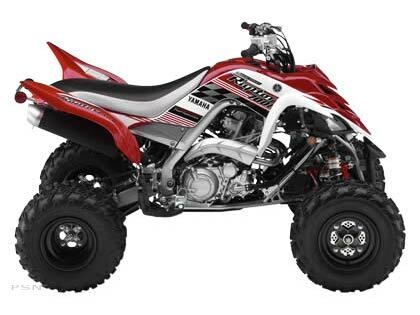 Truly a lightweight big-bore sport ATV, with an engine designed for torque, and a chassis designed to rail corners. 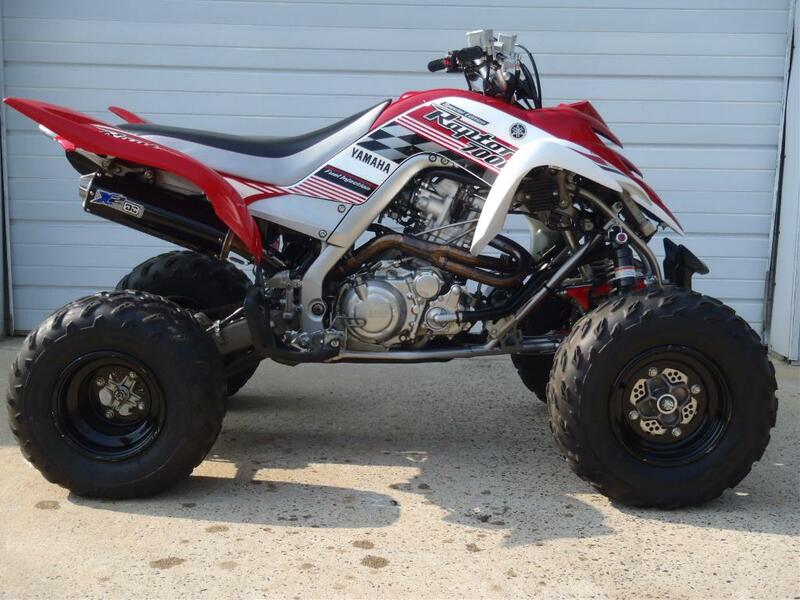 Inspired by the YFZ, the Raptor 700R has many of the race bred features developed from years on the track, with a little extra comfort built in. With a wider/thicker seat, taller bars and suspension damping geared for the trails, the Raptor has an edge over the YFZ for long distance trail riding. It's more comfortable, has more leg room, and with all that torque, you aren't searching for gears every corner. 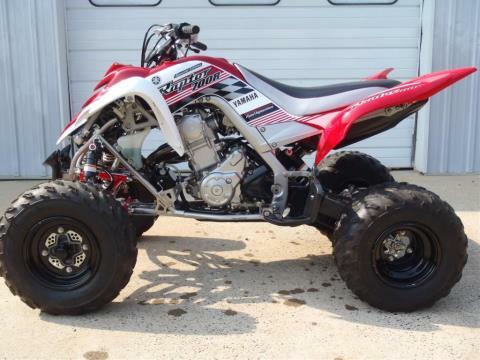 So if you're looking for the ultimate sport ATV, and spend most of your time on the trails, look no further. The Raptor 700R… let them eat YOUR dust.